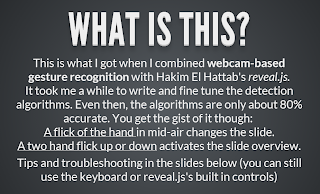 "This is what I got when I combined webcam-based gesture recognition with Hakim El Hattab's reveal.js.It took me a while to write and fine tune the detection algorithms. Even then, the algorithms are only about 80% accurate. 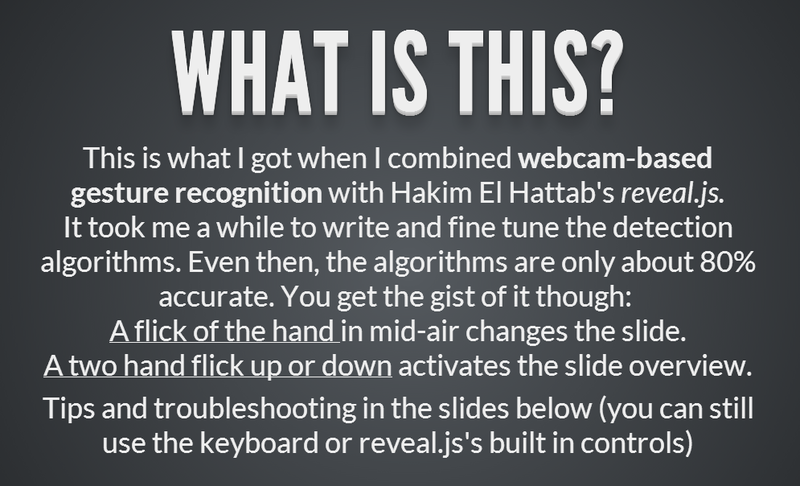 You get the gist of it though: A flick of the hand in mid-air changes the slide.A two hand flick up or down activates the slide overview."